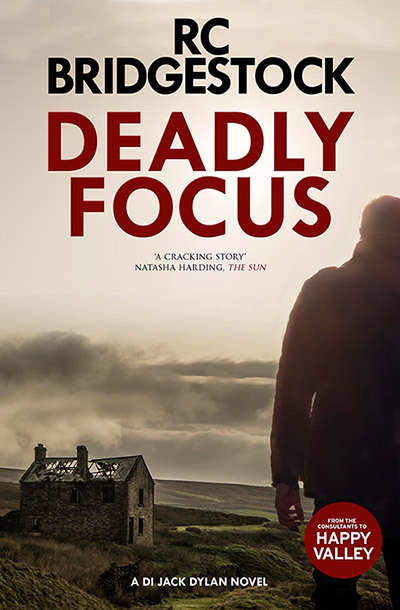 We are so excited today, because we finally get to reveal to you the new cover for DEADLY FOCUS, the first in the DI Jack Dylan series, which will be published by The Dome Press in November (ebook) and January (paperback). The local press and police officers, both retired and serving, were quick to endorse our work, empathising with Dylan and assuring us reading the book was like being back in an incident room, living the trauma of a murder enquiry all over again. Earlier this year, we were over the moon when The Dome Press agreed to republish the Dylan series complete with a new edit and brand-spanking new covers (spoiler: we have seen some samples of future covers and they are absolutely brilliant! They give a real sense of place taken direct from the storyline. It must have been quite a challenge for the designer to try to balance the themes and feel of the book, but I guess the biggest test has got to be designing a cover for a book about murder that doesn’t look too ominous, or too much like a cosier beach read? So it’s with a HUGE thanks to the talented designer Jem Butcher for making our book look so good! when the naked body of Daisy Hind is found on a bleak, windswept moor. Dylan has to catch a serial killer before another child is snatched. We’ve got some very exciting tidbits to share with you throughout the remainder of 2018 (including the other book covers!) so to make sure you’re fully up to date, follow us on Twitter or Facebook.